News – Erin P. Riley, Ph.D.
A 7.5 magnitude earthquake struck the city of Palu, Central Sulawesi, Indonesia on Friday evening, Sept. 28, 2018. The earthquake triggered a tsunami with waves more than 10 ft high that ravaged the city, killing hundreds of people and flattening thousands of buildings. There is a video circulating in the news and social media that shows the impact and destruction of this tragedy. Currently more than 800 people are confirmed dead, but the death toll continues to rise. 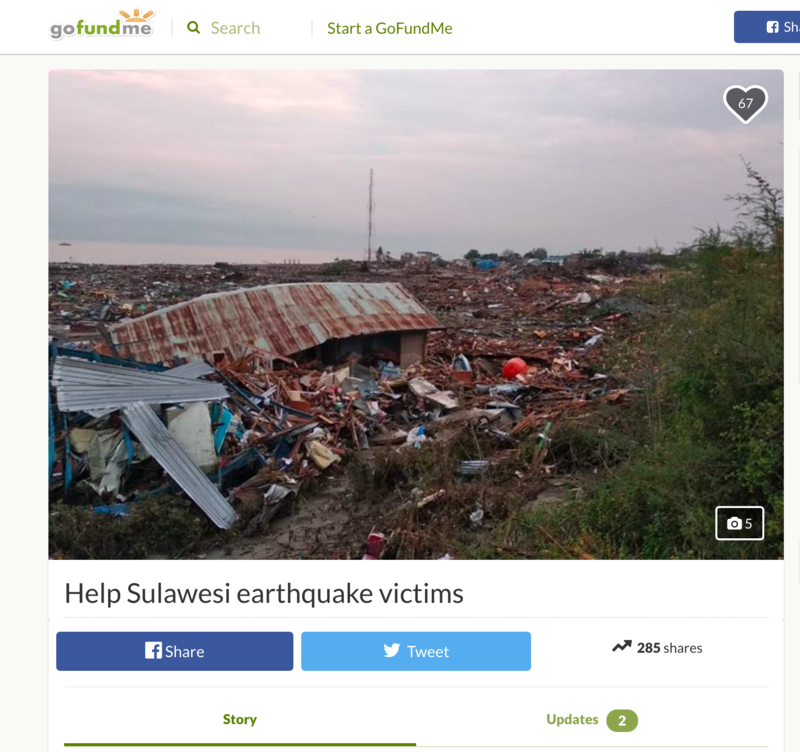 Hundreds of others are injured, thousands of homes have been destroyed, and Palu’s infrastructure has been severely damaged. The island of Sulawesi, Indonesia is near and dear to my heart, as I lived in Palu and nearby Lindu for 2 years while conducting my dissertation research. And, the Lindu highlands (approx. 50 km from Palu), which remain one of my field sites, were just hit by an aftershock on Sunday evening, resulting in further devastation in a highly remote area. Telecommunication channels have been down, so it’s been difficult getting information from my friends and family in Palu and Lindu, but it is slowly coming in. Fortunately, so far, many people are safe, BUT their homes are completely destroyed. I am heartbroken for them. At this point, it has been very difficult to get relief to those in need because of Palu’s infrastructural damage. But, there are still ways to help. This article in the Jakarta Post and this article identifies global and Indonesian humanitarian organizations in Indonesia that will be assisting with the recovery. At the close of 2018 American Society of Primatologists (ASP) meeting, I joined the ASP Board of Directors as the Treasurer. 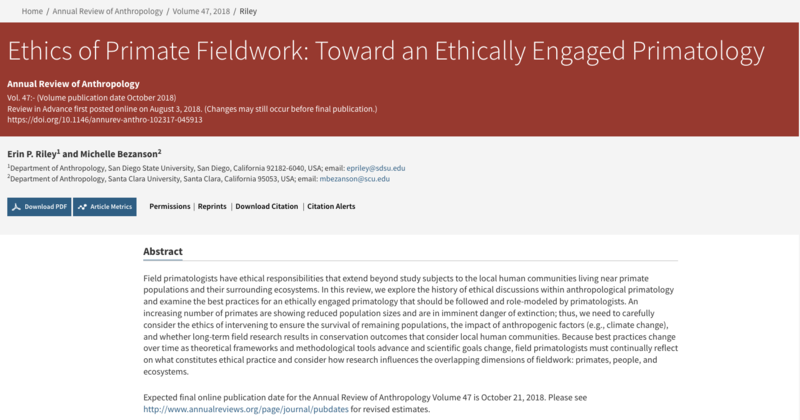 My goals as an ASP Board Member are to expand ASP’s efforts to increase membership, particularly student and international memberships, and facilitate integrative exchange across the diverse fields represented by the ASP. 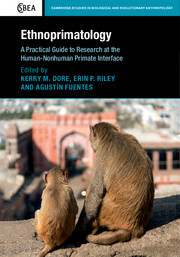 My new edited volume (co-edited with Kerry Dore and Agustin Fuentes) titled Ethnoprimatology: A Practical Guide for Research at the Human-Nonhuman Primate Interface has been published by Cambridge University Press (April 2017). It is available for purchase here or via Amazon Smile. If you use Amazon, please consider choosing American Society of Primatologists as your charity organizations; a percentage of your purchase will help support primate conservation. The 3-volume International Encyclopedia of Primatology has been published! 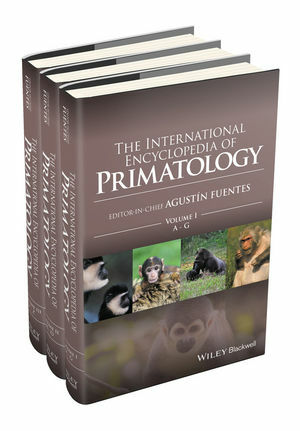 This massive effort was led by Editor-in-Chief, Agustin Fuentes and his team of Associate Editors, which included myself. Ten former or current SDSU students are included as authors . You can purchase it here. My students, Kristen Morrow, Kate Jameson, and Josh Trinidad, and I are featured in Metro TV’s coverage of the moor macaques being fed along the road in TNBABUL, Sulawesi, Indonesia. Check out the video (interview begins at 5:01)! 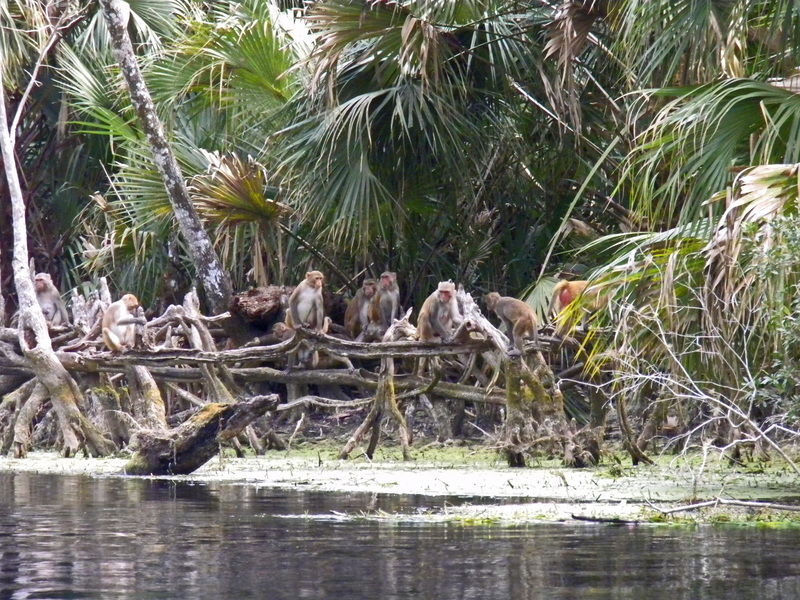 Check out my new publication co-authored with graduate student, Tiffany Wade, on the ethnoprimatology of Florida’s Silver River macaques. The research, which was funded by a grant from National Geographic Society/Waitt Grants Program, has been spotlighted by SDSU Newscenter, Discovery News, and Phys.Org. Proudly powered by WordPress | Copyright @ 2015 WordPress.